Colombo, Sri Lanka -- Man comprises of mind and body. 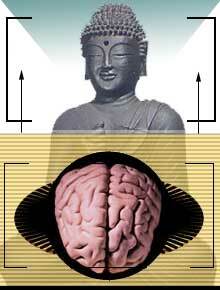 Modern medical science is now according an important place to the mind, but the Buddha over 2,500 years ago emphasised the invaluable role of the mind. In fact the opening lines of the Dhammapada, a collection of important sayings of the Buddha, state that the mind is the forerunner of all states of being, mind is supreme, mind made are they. Accordingly, Bhavana commonly translated to English as meditation, is assigned a crucial role in the practice of the Dhamma. Bhavana means the culture or the development of the mind and perhaps the English word meditation does not adequately describe Bhavana but it may be used for convenience provided the true meaning of the term Bhavana is understood. There are two kinds of Bhavana, one being Samatha or the one pointed concentration of the mind on a wholesome subject to the total exclusion of any others. The other is Vipassana Bhavana or insight Bhavana to see things as they truly are as anicca, dukkha and anatta or impermanence, unsatisfactoriness and the absence of a permanent, enduring, unchanging self or soul or ego. Importantly, Bhavana also includes sati or Mindfulness, to be aware of all activities of the body, feelings, thoughts and phenomena. So on the one hand there is the formal Bhavana where one can sit in a given posture and the informal where one is aware of ones activities all the time. The final objective of Bhavana is to overcome the root mental defilement of greed, aversion and delusion, to see things in there true, perspective and realise the Buddhist goal of Nibbana. However, there are benefits to be gained here and now if Bhavana is practiced in the correct manner, namely, the decline of negative emotions such as the deep desire for sense pleasures, aversion, conceit, jealousy and the gradual development of Upekkha or balance of mind to face better the vicissitudes of life, the pleasant and unpleasant experiences. It is often remarked that a significant number of those engaged in the practice of Bhavana do not reflect in their behaviour the decline of negative qualities mentioned earlier or the development of positive values such as metta- loving kindness, karuna- compassion, mudita- joy in the success of others and Upekkha- equanimity or balance of mind. This may perhaps be due to many confining their Bhavana to formal practice in the recommended posture for a specific period of time in the morning and night and believing that they have performed their task for the day. Actually Bhavana should be undertaken as a full time exercise where one has sati or mindfulness of all activities throughout the wakeful life. Although this is the ideal an effort could be made in this direction with gradual progress as one proceeds in this exercise. In relating Bhavana to every day life, one should be aware of what is happening in the mind and the body as often as possible. This observation should be undertaken wherever you are such as at home, place of work, driving or being driven in a vehicle, exercise, leisure and ablutions. One should be also be alive to ones posture, sitting, standing, walking or reclining. When one is aware of what is happening in the, mind and body one is in the present. The Buddha advised His disciples to be in the present and not in the past that is already gone over which we have no control or the future that has not yet come. We do have to plan for the future but that should be done with our feet on the ground in the present. One of the best ways to be in the present is to anchor the mind to the breath and engage in anapana sati or mindfulness of the in and out breath. The breath is always with us from birth to death and some Bhavana masters say that it is our best friend that will never desert us throughout life. The Buddha has prescribed a precise posture for this Bhavana which is to be seated upright on the ground or on a chair, head looking forward, hands on the lap one over the other and eyes closed or slightly open. However, this does not mean that one should not observe the breath in any posture and at any time. It is said that when one is agitated, depressed or even overjoyed, the concentration on the breath for a short time would bring the mind to a state of balance and develop the great quality of Upekkha or equanimity. This is an important aspect in the mindfulness of the activities of the body. The well known Bhavana master, Ven. 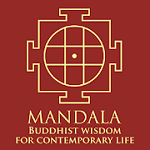 Henepola Gunaratana Nayaka Thera, Head of the Theravada Buddhist Meditation Centre and Forest Monastery in West Virginia, USA, in a recent Buddhist discussion with the writer over the English Services of the SLBC recommended the practice of Bhavana on the breath for one minute every hour. This would help he said to calm the mind which is often bombarded with sense stimuli and consequently confused and disturbed. This is relating Bhavana to daily life and it would help to be in the present and engage in the mindfulness of all activities, mental and physical. There are many opportunities that one has in life to observe the breath informally such as when one has nothing specific to do, travelling in a vehicle when there is no talk, waiting for some one to come and many more. When undertaking anapana sati Bhavana, some Bhavana masters advise to mentally recite the words 'arising' when inhaling and 'ceasing' when exhaling the breath. Such recitation would bring to the forefront the impermanence and changing nature of things. 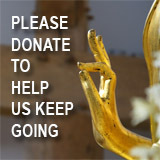 This in turn would help the mind to ease itself from the attachment to things which is at the root of mental suffering. Here we are changing from samatha or tranquil Bhavana to vipassana or insight Bhavana. The development of the practice of letting go is an important aspect of Bhavana. Formal Bhavana is helpful in that it is a training ground to let go when other thoughts come to the mind while engaged in bhavana where one casts them aside and returns to the subject of Bhavana. When this habit is developed in formal Bhavana it could be gradually extended to everyday life. When engaged in some work and other thoughts come to the mind we could let such thoughts go unless they are relevant to the work that is being undertaken. With the practice of the mindfulness of the breath and extending it to our other daily activities, it would be observed that it tends to calm the body and that in turn leads to the calming of the mind. A calm and clear mind would enable one to observe the arising of thoughts and emotions and learn to let them pass away without proliferation. To be in the Bhavana mode in daily life one should also observe the thoughts. During all wakeful hours thoughts are going on in the mind, about oneself, others or both. They could be thoughts of the present, past or the future. When observing the thoughts it is realised how often they are of the past and the future and seldom on the present except a well trained mind. There are selfish thoughts and selfless thoughts, thoughts of goodwill and ill-will, thoughts of attachment and detachment, thoughts of craving for sense pleasures and non craving for such pleasures. Ascertaining the quality of our thoughts by mindfulness our task is to wean away from unwholesome thoughts to wholesome thoughts. In every day life we have our emotions and experiences, some pleasurable, some not pleasurable and others neutral. We have a problem with unpleasant emotions and experiences as we do not like them. One way to dissolve the unpleasant experience is to make it a subject of Bhavana. If there is pain you concentrate on the pain. Unbearable and excruciating pain due to serious ailments have been eventually overcome by the very serious practice of Bhavana on the experienced pain. Initially it is said that the pain would be aggravated by being alive to it but by persistent effort it could be overcome. Volumes have been written of successful cases especially in Myanmar and Thailand and even in the USA. Another unpleasant experience is the problem we have with some people with whom we associate in life. We cannot live in isolation. We have to associate with people at home, at the place of work, in our extracurricular activities such as sport and recreation and so on. If there is a person who makes life difficult or even miserable, we should treat that person not with ill-will but as a teacher. He teaches us or provides us an opportunity to develop the great quality of patience or santi. We could also observe our mental reaction to the trouble maker and see that the problem is not so much with the other person but our own way of relating or reacting to him. If we react with sympathy, understanding and goodwill considering that that person may have a problem or deficiency and extend compassion to him, a better relationship could perhaps be established. In any event that person provides us an opportunity to observe our own mind in a difficult situation. Pleasant emotions and experiences also give rise to problems. They encourage negative factors such as over confidence and conceit which could lead towards ones own down fall. So we should be mindful to accept our successes with a sense of humility and equanimity noting that they are also impermanent and a passing show. If we are mindful of our thoughts we would be vigilant and careful before speaking and acting. Gradually we will become aware before speaking and acting reflecting whether what we intend to say or do is harmful to us or others. Thus our intended speech or action could be modified or totally withdrawn if necessary. We could also be mindful of our eating. Eating in Buddhism is not considered a social activity but our full attention should be on the act of eating. Mindfully mixing the food, taking the food to the mouth, chewing and tasting it, and eventually swallowing. Mixing of the food should not be simultaneous with eating since then the attention is divided between the two activities. This is not possible when we eat with guests but on many occasions we eat alone or with our immediate family and these are opportunities to eat mindfully. It will also be observed that the pleasure of the taste would be for a brief moment when the food is over the tongue before it goes down the throat. The practice of sati, an important part of Bhavana, would slow down things but whatever the task it would be performed better when undertaken with mindfulness. Thus, one should not confine ones Bhavana only to formal Bhavana undertaken in the usual Bhavana posture. It should be extended to the mindfulness of daily activities in wakeful hours, both physical and mental, as far as possible. For the later exercise the training that is developed in formal Bhavana is undoubtedly an asset.